Add to heavy oil and water mixture to separate water from heavy oil. Normally, water and oil do not mix. But with the present of emulsifier (substance having a portion soluble in water and a portion soluble in oil in one molecule), water is dispersed as fine water droplets in oil and the mixture is called emulsion. 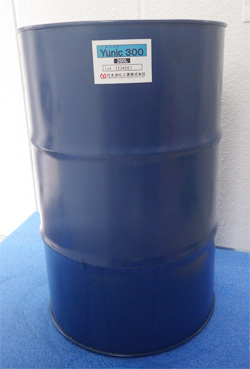 C heavy oil contains various substances that have high molecular weight, some of which may act as an emulsifier. Therefore, when water is mixed into heavy oil, the formation of a solid emulsion may occur depending on the type of the oil. Yunic 300 inhibits "emulsifier's property of being soluble in water". As a result, fine water droplets in emulsion disappear and water is separated from oil. The water can then be removed by purifiers. If you have any question about our Emulsion Breaker, please feel free to contact us.